Height: 5’5 Weight: 110 lbs. Powers: Ability to generate Flame, fire and heat. 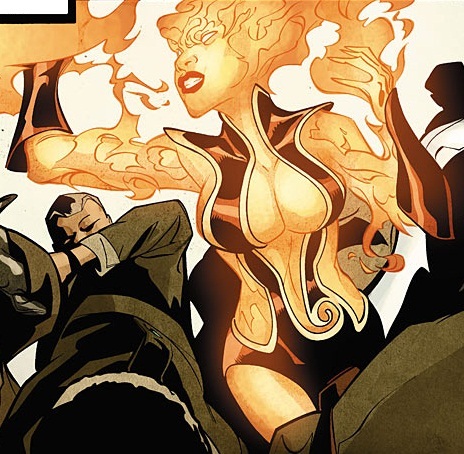 When her powers are in use her entire body is engulfed in flame and anything that makes contact with her skin is burnt, she could also fly. As a side effect of her powers she is immune to extreme heat. A founding member of Africa’s first superhero team “The Kingdom”, she was friends with Earth Strike and Thunderfall. After years of adventuring together the team disbanded and retired to normal lives. She was tracked down by the villain Massacre and killed after a long fight. Her body was found by Batwing, who turned over her dead body to the police.